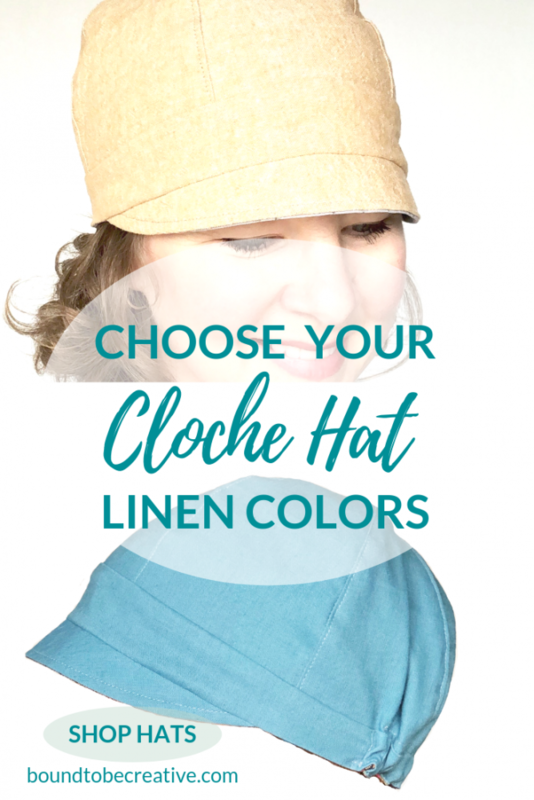 Linen blend fabrics have been updated for the handmade cloche hats and they are fabulous! 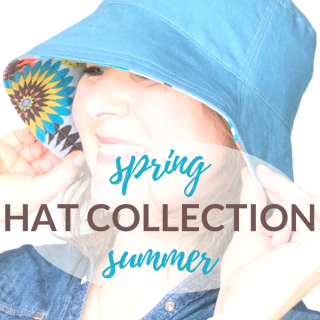 Choose your colors for both sides of the popular Cloche Hat – perfectly lightweight for Spring and Summer. Do you ever feel like there’s two sides to every story? Sometimes vocal discussions can cause confusion internally, externally or both. Embracing two sides of a story can be a beautiful concept if one listens with compassion, understanding and acceptance. Accepting your style, your look and your love of hats helps embrace the inner style you desire and allows you to express it outwardly! 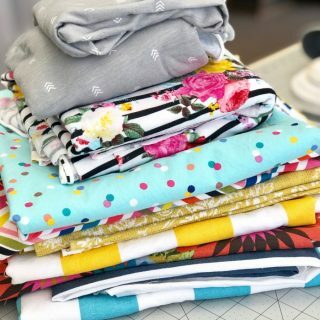 Choosing TWO fabrics for ONE hat is like having your cake and eating it, too! 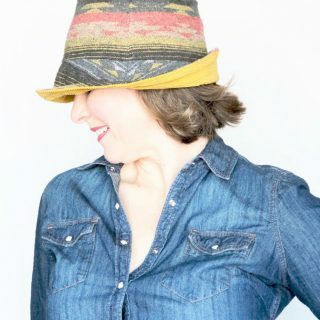 Another addition to the Spring/Summer Collection is the reinvented Curvy Sister Newsboy Hat made with detachable barrette. 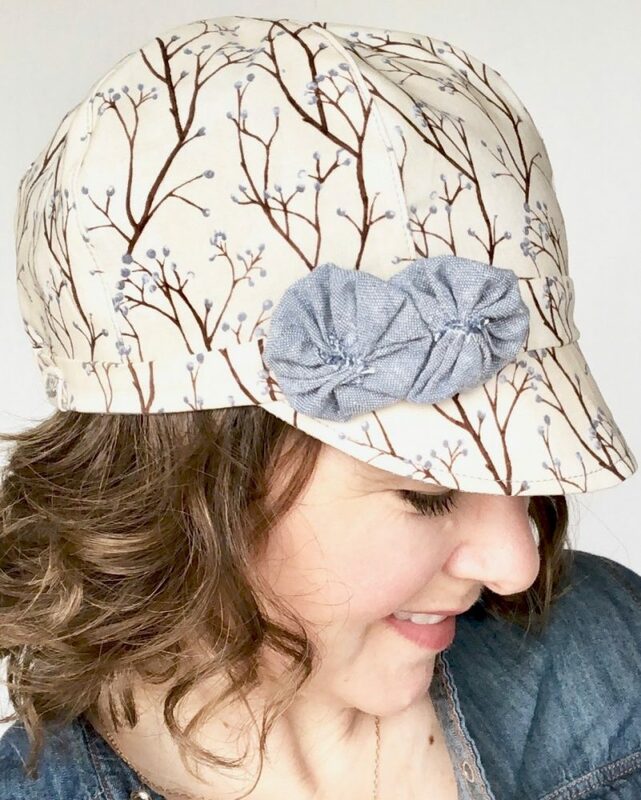 This lovely handmade hat style for women is a best seller and the handmade chambray barrette is an added bonus that looks fabulous on either side of the hat. 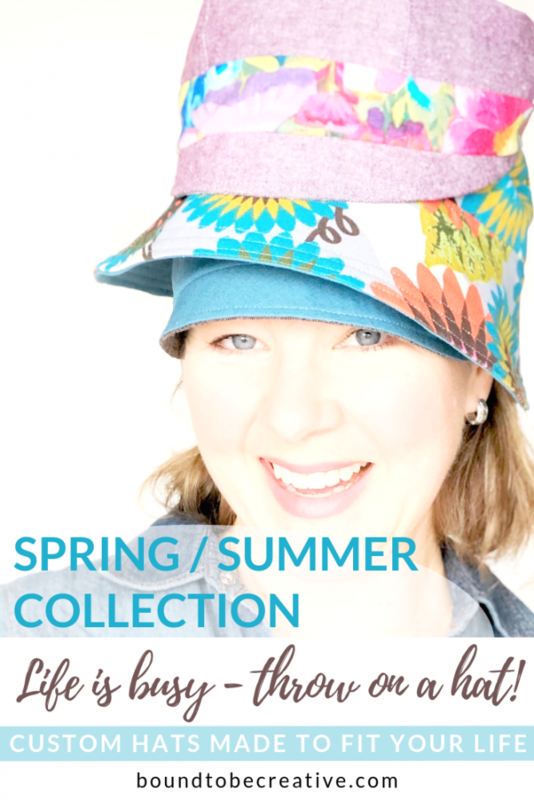 Simply detach with love and attach on the other side of your handmade hat. Not a barrette gal?….detach without love and toss that barrette in a drawer. All dressed up and now where to go? This is my version of dressing up for date night, unless it’s an anniversary. With a shrunken cashmere sweater for warmth and my red stallion cowboy boots screaming to be pulled on – I married the two timeless pieces together with a pair of favorite jeans. The five year old plaid handmade hat brings all the colors in harmony with ease. Road-tripping to a Dairy Queen 40 miles from our house was worth the actual feeling of wanting to look pulled together – even it was just for a delicious bite of good ol’ fashion ice cream. Did I mention we were especially ecstatic to be getting away from our three teenagers and two elementary kids?…yeah – I know you get it. 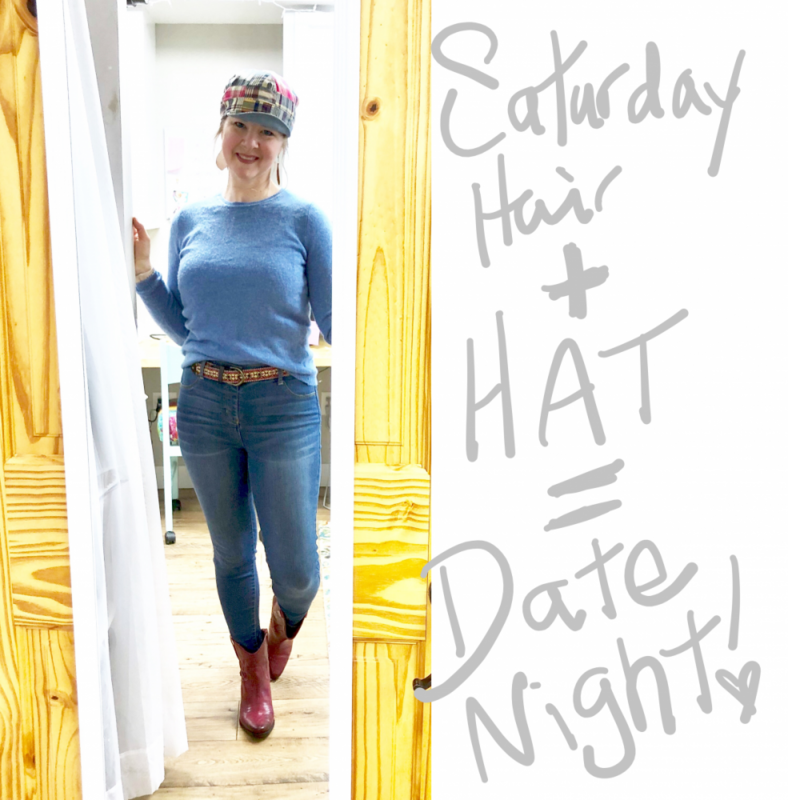 How to Wear Your Handmade Hat – a blog about how to wear your hat AND a good snap shop of some of the types of hats offered. Are you getting slammed by the recent weather? We certainly are and after a thunder and lightening and snow/rain/ice/sleet/tree buds pounding our window all night we are stuck at home again (and I thought I had the day to myself – lucky me…I feel your pain if you thought you did, too.). In order for all of us to stay sane, let’s revisit my March blog on “March in like a Lion” and perhaps we can try some of the mindful exercise tips to getting through this crazy storm together! Find the blog here. Hit reply to this email and let’s chat! 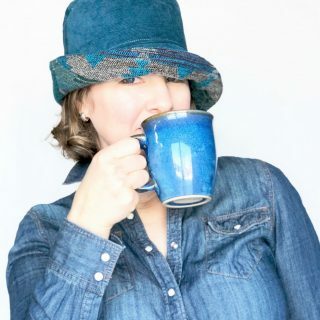 I’d love to help you pick out your custom hat for you and get you a hat you’ll love for years to come. 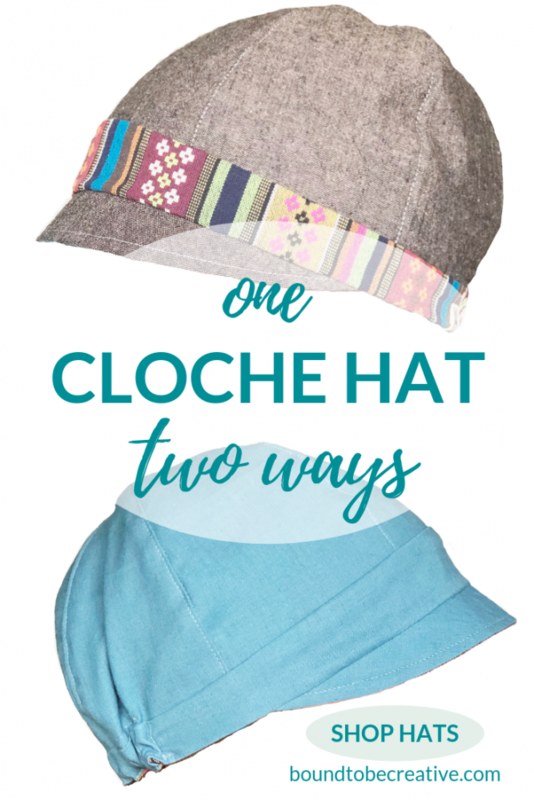 Bound to be …your reversible hat expert!